Since 2010, Edwin Huizing has been working for the UNFPA as director of the Sub-regional Office for East and Southern Africa. He is responsible for supporting the 23 countries where UNFPA works together with governments and civil society organisations to promote sexual and reproductive rights, ensure access to family planning, reduce maternal mortality and empower youth to shape their own future. Edwin Huizing previously worked for nine years at the Dutch Council for Refugees, concluding this period as managing director from 2006-2010. Between 1989 and 2001, he worked for SNV Netherlands Development Organisation in Botswana, Niger and Mali. 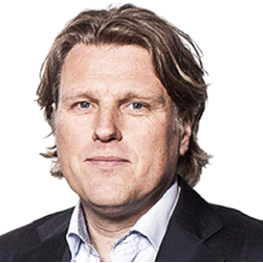 Edwin Huizing (51) studied Human Geography and Development Planning in Utrecht. He is married and has four children.